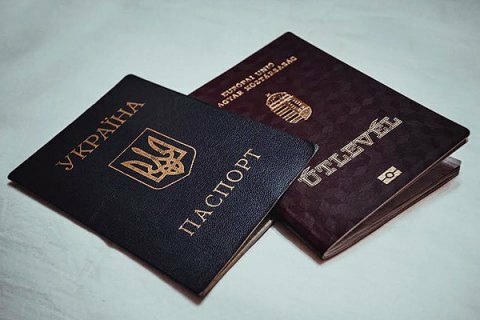 People with several passports will be deprived of Ukrainian citizenship. President Petro Poroshenko has submitted to parliament an urgent bill amending the law on citizenship of Ukraine with regard to the right to change citizenship. "The bill deals with dual citizenship and provides that a person who voluntarily received the citizenship of a foreign country will be required to terminate Ukrainian citizenship," Interfax-Ukraine quoted the president's envoy to parliament, Arthur Herasymov, as telling a briefing on Monday, 13 March. Herasymov said the novelty will clarify the grounds for losing Ukrainian citizenship, including the voluntary acceptance of a foreign citizenship by a citizen of Ukraine, or not renouncing foreign citizenship after receiving the Ukrainian one. "The bill does not apply to the situation with our people in Crimea because the change of citizenship there was not voluntary [after the annexation of the peninsula by Russia]," added Herasymov. The Constitution of Ukraine provides for only one citizenship, even though it foresees no punishment for the violation of the norm. A number of MPs and senior officials in Ukraine hold foreign citizenships. In particular, the suspended head of the State Fiscal Service, Roman Nasirov, has British and Hungarian passports, while MP Andriy Artemenko has recently admitted that he is also a citizen of Canada.